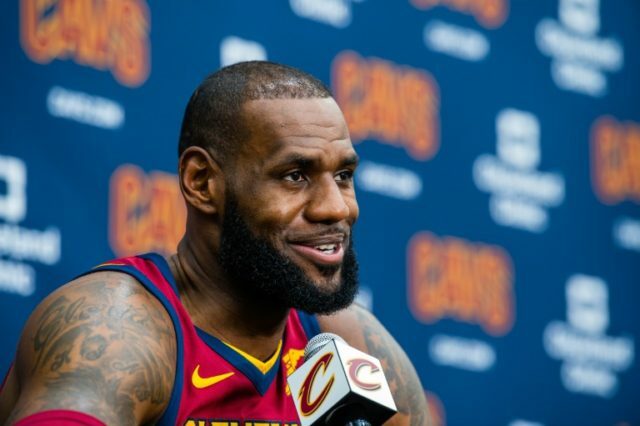 Los Angeles (AFP) – LeBron James said Monday he did not regret branding President Donald Trump a “bum”, accusing the US leader of dividing the nation in his feud with the sports world. In a press conference at the Cavaliers’ pre-season media day, James repeatedly referred to Trump as “that guy”, saying he had failed to bring the country together. “We know this is the greatest country in the world, this is the land of the free,” James said. “But we still have problems just like everybody else. And when we have those problems, we have to figure out a way to come together and be as great as we can be as a people. “Because the people run this country. Not one individual — and damn sure not him,” James added, referring to Trump. James, the highest profile star in the NBA, said Trump’s reaction to NFL players who protest during the national anthem showed he did not know how to lead the nation. “He doesn’t understand the power that he has for being the leader of this beautiful country,” James said. “He doesn’t understand how many kids, no matter the race, look up to the President of the United States for guidance, for leadership, for words of encouragement. “He doesn’t understand that. That’s what makes me more sick than anything,” added James, insisting that Trump had misunderstood the nature of the NFL protests, which were launched by former San Francisco 49ers quarterback to draw attention to racial injustice. “It’s not about disrespect for the flag and military and people who served,” he said.